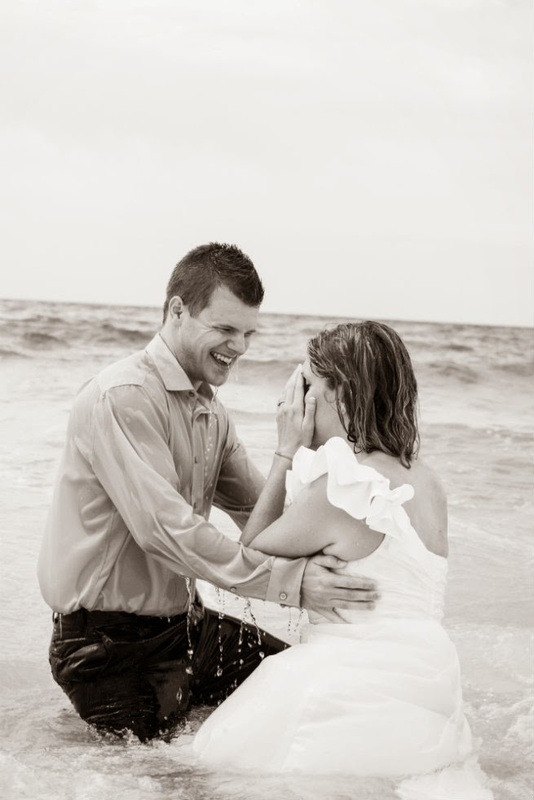 One of my most favorite things about my beach wedding was the fact that a few days after my wedding I got to hop into the ocean and trash my dress. These pictures were fun, creative and I'm so glad I have them. While I was wedding planning I told Dave about this great option of 'trash the dress'. He didn't seem to thrilled and I knew we would have already taken hundres and hundres of pictures so I scrapped the idea. 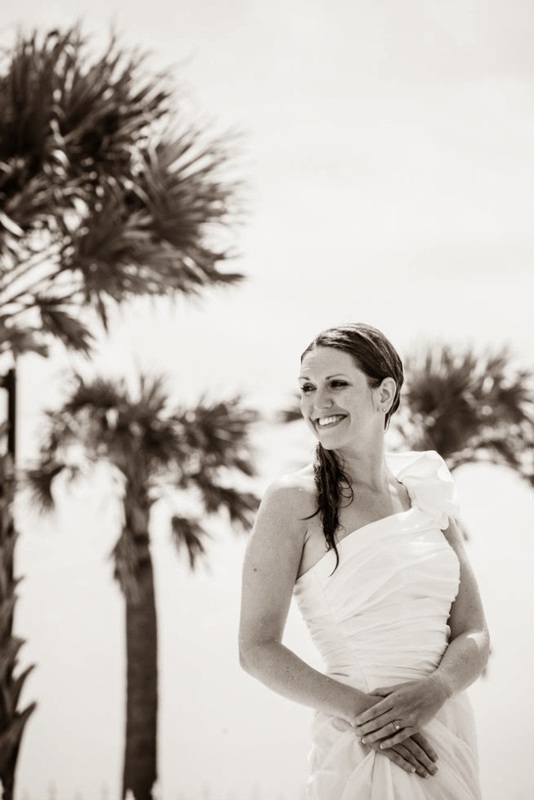 However, a couple of days after my wedding my awesome photographer Naomi, sent me a message saying how she would love to come take trash the dress photos. I mentioned it to Dave and he offered to come take pictures with me. He was such a trooper. I think the pictures turned out great and I have enjoyed looking at them over and over. Purchase a wedding gown that is cost effective. I bought mine for around $350 and therefore didn't care too much if it got dirty. If you are going into the ocean that has currents I would highly recommend having some safety precautions. Take your husband with you. 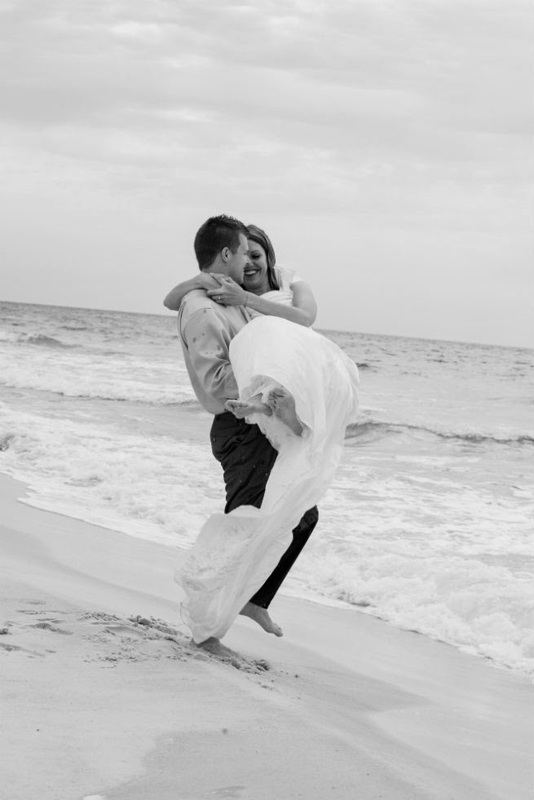 Those currents were pretty strong and maneuvering in a wedding dress can be tricky. Bring props: bikes, paint, glitter, silly string, bubbles, etc. It makes it more fun and if your husband can throw paint on you he will probably enjoy taking pictures all the more. 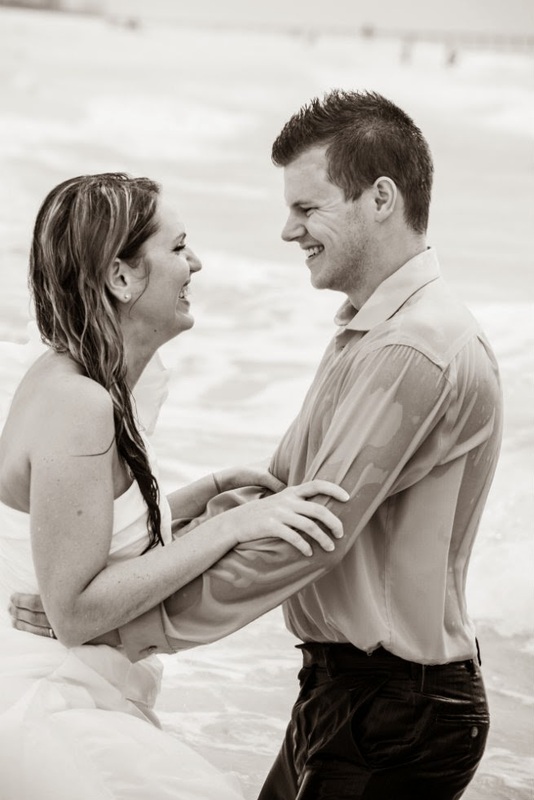 Relax - by this time your wedding photos should be done with and the photo shoot is all for fun. Another little secret: my dress never did get 'trashed', it actually got cleaned! It was filthy dirty from walking around during my reception and the salt water cleaned it back to its shiny white. Dave's clothes are the ones who got more trashed than anything. He had sand all through his pants and the hems were basically sand bags but it all came out too and they are still wearable. I'm curious. 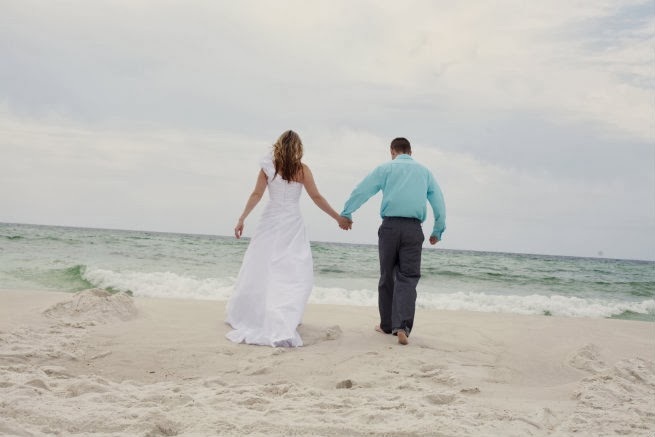 Would you trash your wedding dress? You aren't limited to an ocean. You could even go into a field and use paint. 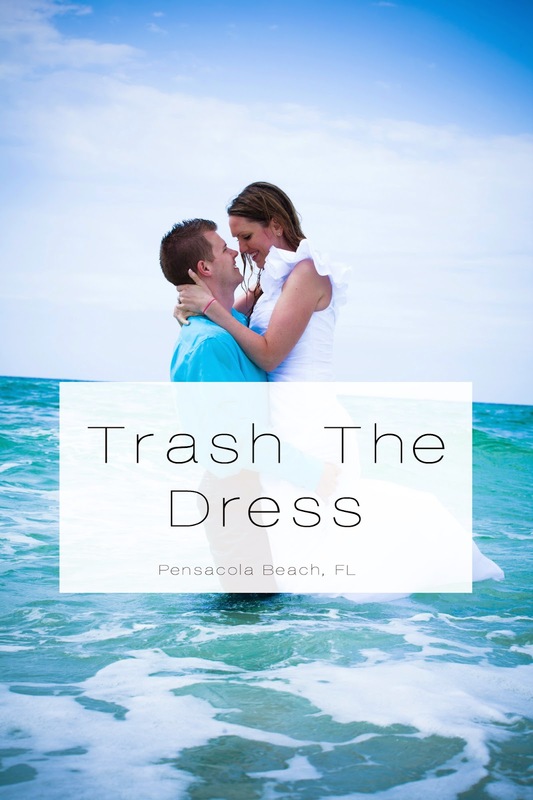 Don't want to trash your dress? Then find some old fancy clothes and trash those. Either way, it's just a fun shoot. these pictures turned out so great beka! i love them! Thanks! I had a great time taking them. You should totally do that Emily! It would be fun. I LOVE these pictures! You look gorgeous - and it looks like you had so much fun. Congrats - wish you a lifetime of happiness! Thanks! I highly highly recommend it! It was so fun. Thanks! It was a blast and I'd recommend it over and over. This sounds SO fun! 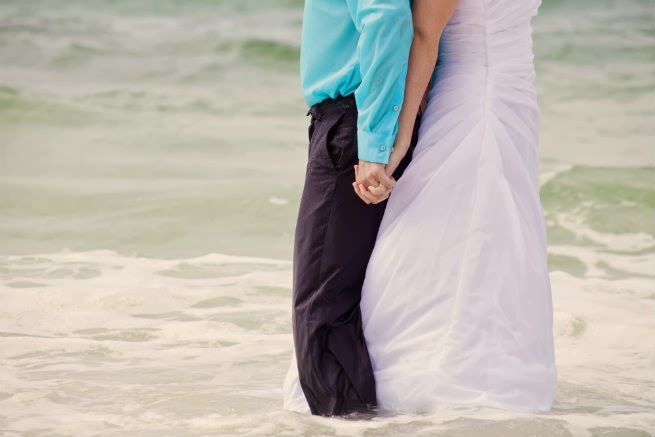 Though, I wouldn't want to trash the dress I wore so I'd opt to find a fun outfit for an anniversary and do it that way. I would also opt to do so at the beach...Or maybe with that color powder the kind from a color run! so fun!! The color powder would be so fun! You could even just wear jeans and white t-shirts and I bet it would turn out great!